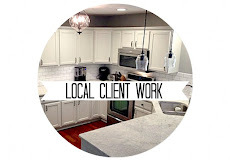 Last week I introduced you to my latest whole-house client: the Modern Bungalow Project. 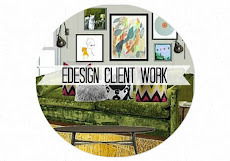 You can read all about the house and my inspiration for the designs here. I've already shared my plans for the master bedroom and nursery, and today I'd like to show you my dreams for the entryway and living room. This is an older home, and there are actually two entries. One when you first walk in the front door with a tiny closet and tile floors, and then that opens up into a larger entry with wood floors that welcomes you before you step into the living room. 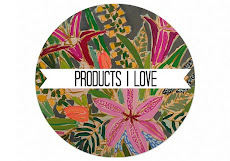 My fabulous client mentioned a love for wallpaper, and she didn't have to tell me twice! Wallpaper is back. It has been back for years now. There are so many fresh and modern options that anyone can find the perfect pattern for their home. I was especially inspired by this particular wallpaper. It's modern and whimsical, and would really set the tone for the rest of the home. I know, I know, not everyone likes birds. But for some reason I still love this paper. I especially love this paper on the ceiling. 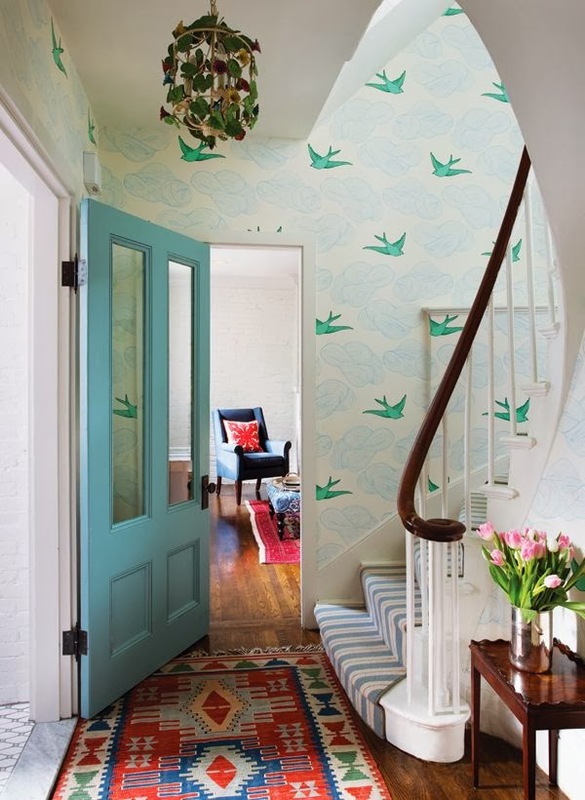 I propose we paint the smaller entry a deeper blue, and then the larger entry would be covered in this wallpaper. It would look fantastic from the living room, and make a statement as soon as guests walk in the door. I also fell in love with this pipeline hall tree. 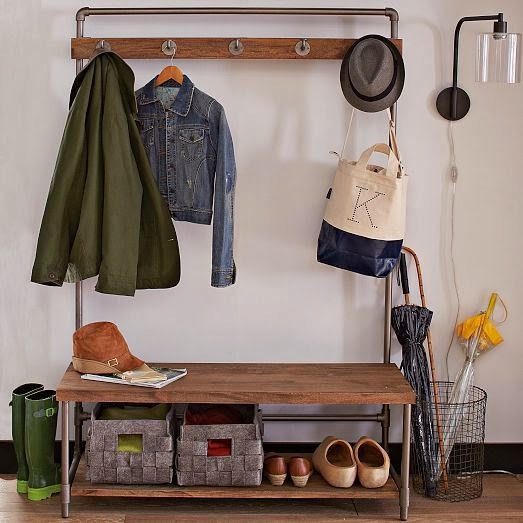 It gives the practicality you need in an entry without the cost of built-ins, yet feels modern and organic. Then we move on to the living room. This space has a funky layout, so it may not look exactly like the photo below. Basically it's a room full of walkways. It's open to the dining room, has stairs that come down into the living room, is open to the entryway, and has a wall of built-ins surrounding the fireplace. Tricky! 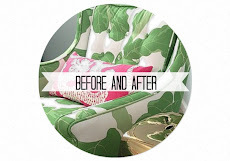 My clients selected this sofa, and I gladly worked around it! 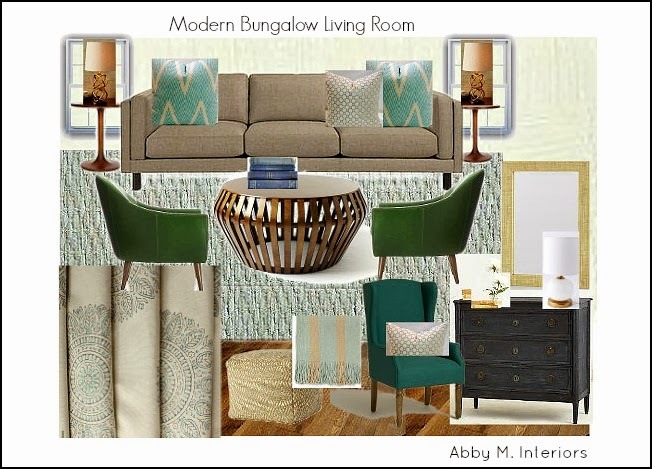 I took my color cues from the wallpaper and tried to select durable pieces that were small in scale but comfortable. 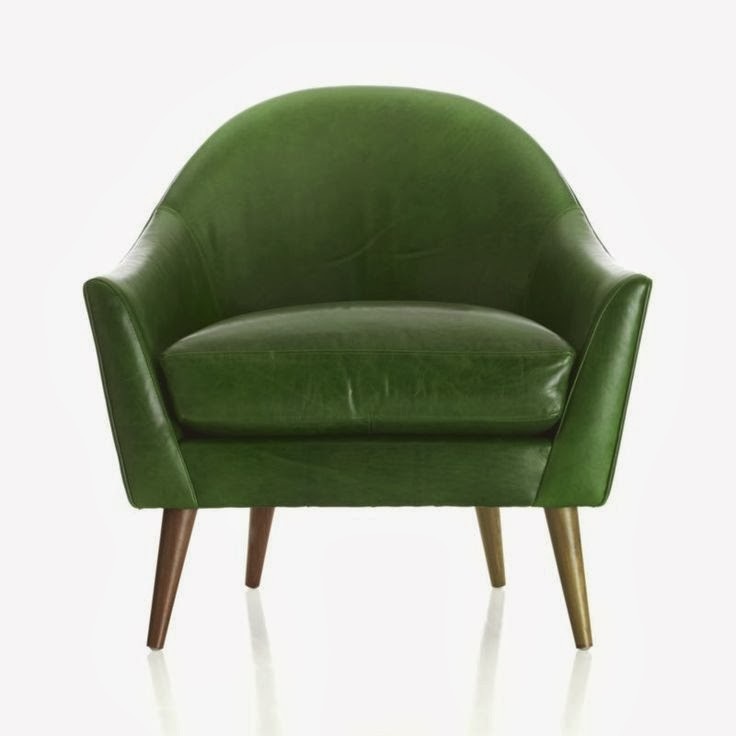 To start, these mid century green leather chairs. Kids can't ruin them and they'd only get better looking with time. 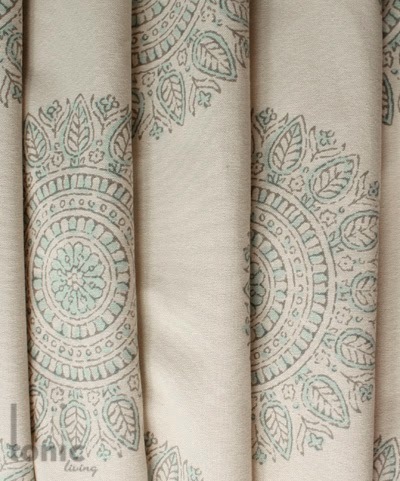 I liked the organic feel of these block-print drapes in light grey and aqua. My client had asked for a coffee table with no hard edges--for the kiddos. 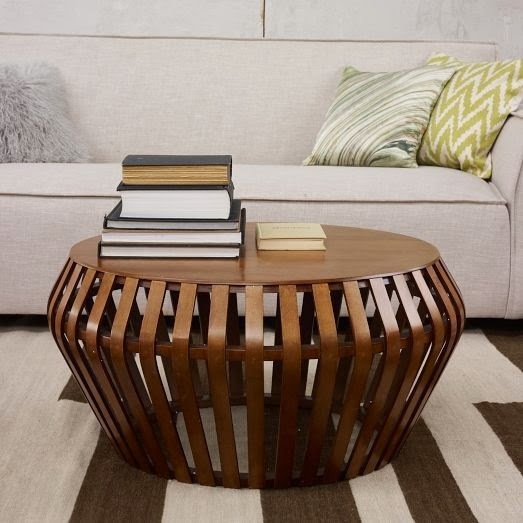 This bentwood coffee table is a favorite. It's stylish and modern but warm; just like my clients. A little grasscloth mirror for texture and a deep blue dresser for storage brings it all together. 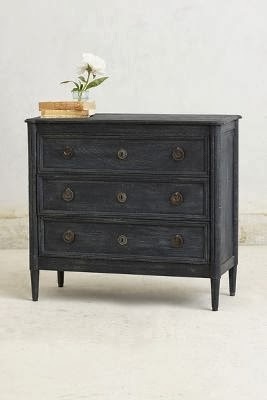 What I like about this dresser for their particular living room, is that although the lines are more modern (see the feet) the dresser has a more antique feel because of the finish and the hardware. It's always good to mix styles together. You want your home to feel collected, not like a furniture show room. Here are all the rooms together, one last time. 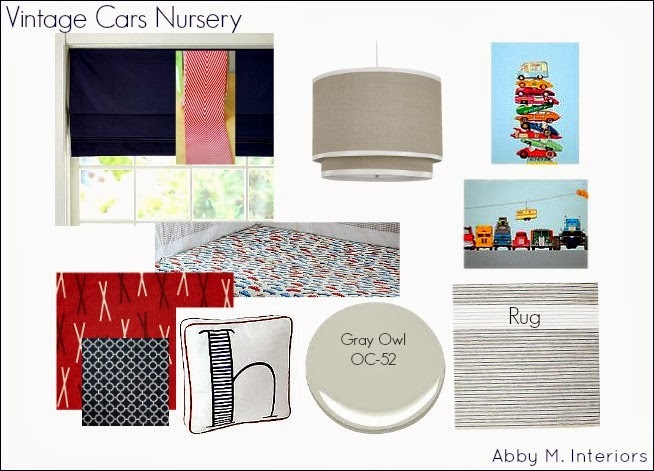 The nursery is a little more primary in color, for obvious reasons, but it still has the grey, teal, and navy colors from the rest of the house. 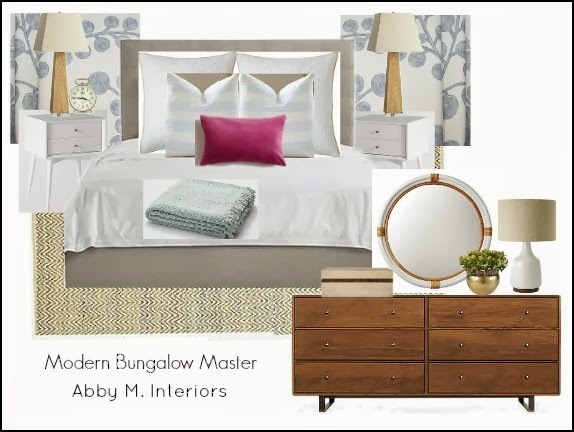 We made a few subtle changes to the master bedroom design, and I think all three of these spaces compliment each other nicely. Is this a space you would feel comfortable and like to entertain? I would love to continue the conversation! 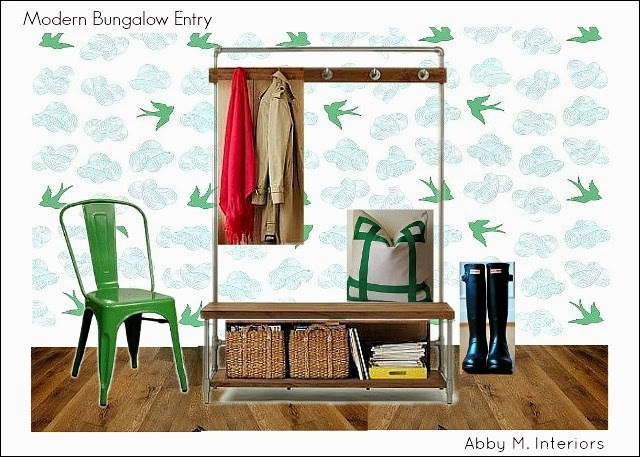 Email me at abbyminteriors@gmail.com, or connect with me on Facebook, Instagram, or Pinterest. 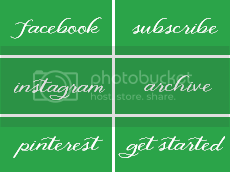 Hint: instagram is my favorite. 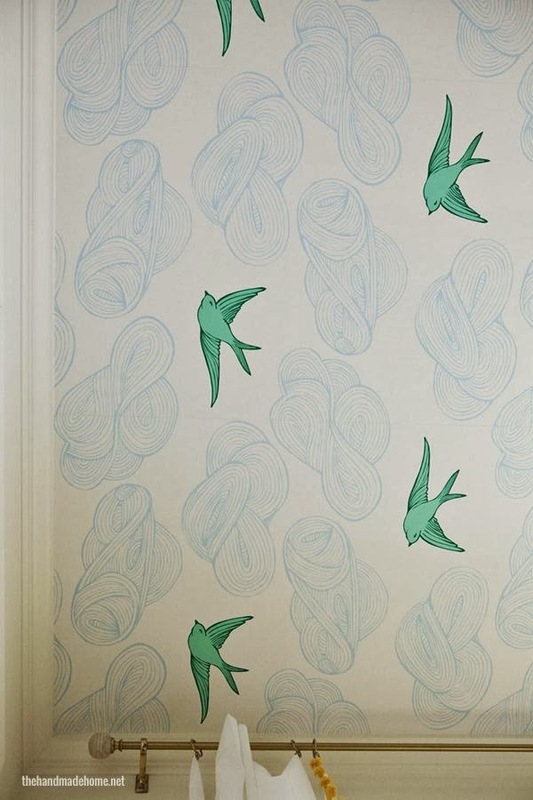 Where can I purchase the wallpaper with the birds? Thanks!